How Far is Annai Nagar Plot? Annai Nagar Plot is one of the popular residential developments in Chennai. It is among the Ongoing project of its builder. It has lavished yet thoughtfully designed residences. 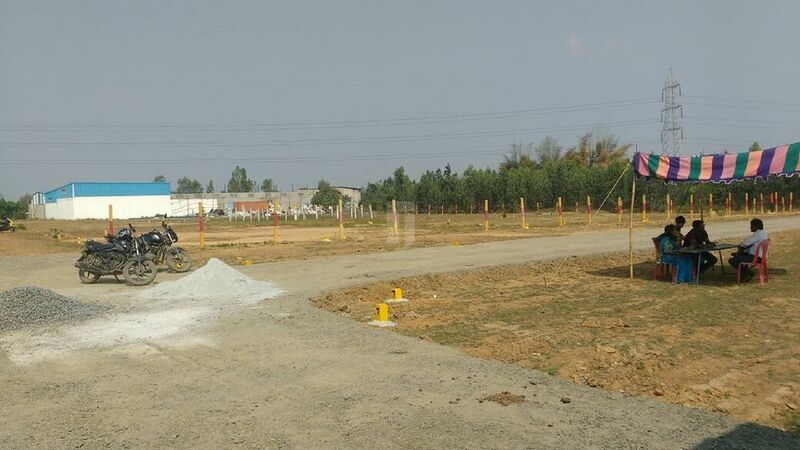 The plot development is under construction in Avadi, Chennai one of the hot selling residential hub. The locale offers proximity to major landmarks nearby. The project is developed with a decent number of amenities and is available at a price normal to the Price per sq. Ft. of the locale. The project is developed on a CMDA Approved layout and is various dimensions of plots are ready for sale in Avadi. Madras City Properties, one of the leading Property Developer in Chennai, Promoting Plots, Flats, Villa around Chennai was started by a young Graduate Rtn.V. Jayachandran, who is also having a keen Business Knowledge about the dynamic fast-growing Industry and Ethics in his deeds. Madras City SS Nagar one of the plot development of the builder being developed in a layout approved by CMDA, with various dimensions of plot for sale in Kovur, Chennai. Madras City Sai Avenue another plot development in a CMDA Approved layout located near to PSBS Millennium School, Gerugambakkam, Chennai. Atchaya Garden is a ready to occupy plot by the builder in Vandalur, GST. KPS Nagar is a villa plot project by the builder planned and developed with 2BHK Villa Plots for sale in Avadi, Chennai. Row House trend is one of the rare thing in Chennai but the builder developed a Row House plot project in poonamalle, Chennai named Royal City located close to Bangalore Highway. Our timely Advice to the Investors make them to take the right decision on rights time and brings smile in their face always. If you decide to buy a Plots, Flats, Villa or do an Investment having meet with us will add values and colors to your life.